Adafruit Holiday Gift Guide 2016: Artists « Adafruit Industries – Makers, hackers, artists, designers and engineers! If you know an artist of any stripe who is curious about the maker world or applying the tools and tricks of DIY electronics to their work, we’ve got you covered. Here you can find kits, packs, and books that can help the artists in your life to find new ways to express their voice. MiniPOV4 Kit: This Dancing Light artwork is created through the magic of light painting. LEDs are wonderful tools for this experimental work and you can get started with our MiniPOV4 Kit. 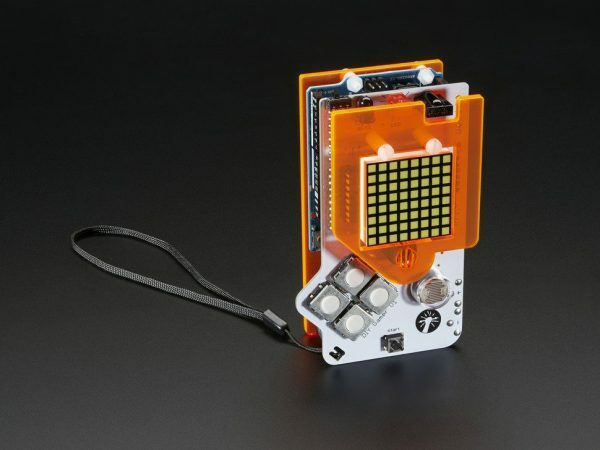 With a little soldering you can make a handheld unit which will have you flinging graphics or messages through the air for the camera. Create love notes, digital tapestries or holiday greetings. Working with a partner makes this gift even more fun. 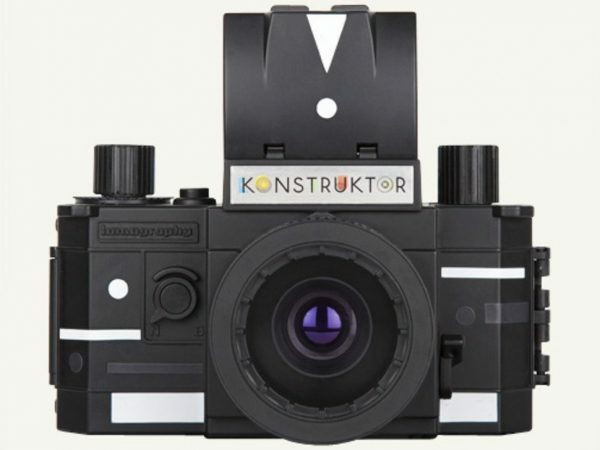 KONSTRUKTOR – DIY Film Camera Kit: Perfect for Do-It-Yourself lovers and those interested in learning, understanding and experiencing how analogue photography works, the Konstruktor is a fully-functional 35mm SLR camera which you can easily build at home. The kit also includes stickers to decorate your camera and with its twin lens functionality, you can give your shots a unique, individual style to show off to your friends! 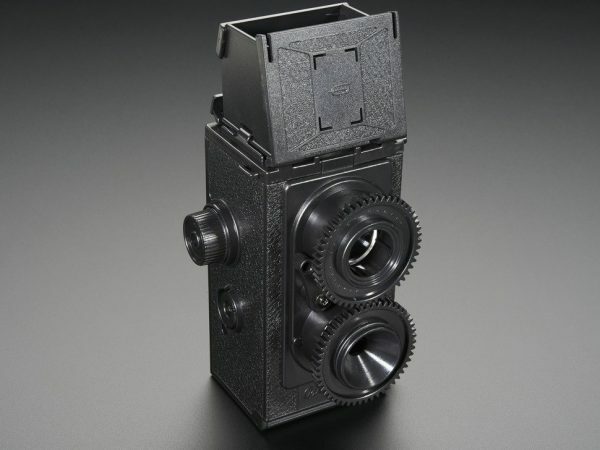 This kit is guaranteed to give you way more hipster-cred than a Holga. Gakken Mini Electric Guitar Ki: Sometimes a full sized guitar just isn’t practical at your co-working space or on Amtrak, but there’s always room for this smart Gakken Mini Electric Guitar Kit. There’s nothing better than building something you can actually jam on and this guitar has a built-in speaker and amp, but you can always connect your big baby with the 1/4 jack. Ridiculously simple supplies needed for this kit—Phillips screwdriver, cellophane tape, pliers, and 2xAA batteries. Good luck getting time to play it as you’ll be fighting off friends. Where Frequency by Bartlebeats was the soundtrack to your soldering, Infinity Shred’s music to fly drones to. 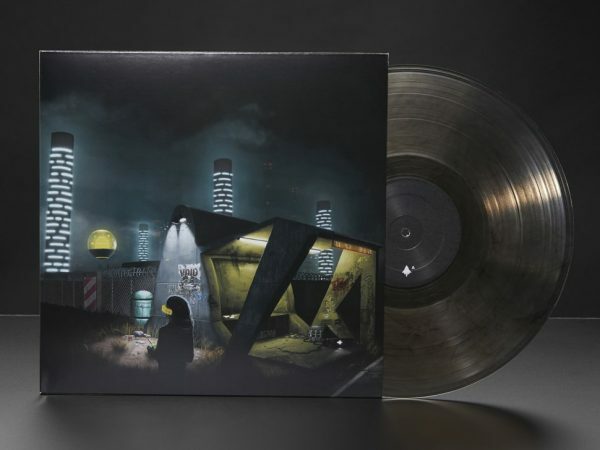 Two parts sci-fi tinged post rock, one part progressive trance, with equal touches of black metal and dystopian church music mixed in, Infinity Shred’s album Long Distance is the kind of music that defies any classification besides intensely futuristic. The translucent black edition is limited to 500 pieces and features a jacket designed by Asif Siddiky and full color innersleeve photos shot by Adrian Miles. 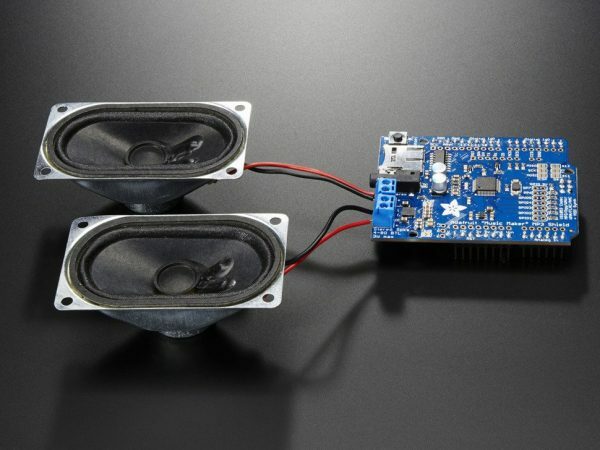 Adafruit “Music Maker” MP3 Shield for Arduino w/3W Stereo Amp: Bend all audio files to your will with the Adafruit Music Maker shield for Arduino! This powerful shield features the VS1053, an encoding/decoding (codec) chip that can decode a wide variety of audio formats such as MP3, AAC, Ogg Vorbis, WMA, MIDI, FLAC, WAV (PCM and ADPCM). It can also be used to record audio in both PCM (WAV) and compressed Ogg Vorbis. You can do all sorts of stuff with the audio as well such as adjusting bass, treble, and volume digitally. 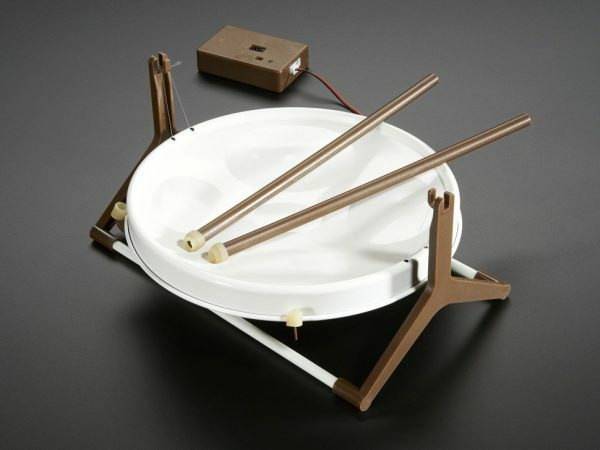 Steel Drum Kit by Gakken: Pianists? No! Pannists? Yes! Educate yourself on the sounds of Trinidad and Tobago with Gakken’s Steel Drum Kit. Put together a four-note steelpan with an 1/8th inch output and ride the soundwaves down to the Caribbean islands. The kit includes the drum, a pickup that magnetizes to the bottom of the drum, a stand for the drum, mallets, and an 1/8th inch out. Agnolo Bronzino’s Cosimo I de’ Medici has a beautiful armor that LARP enthusiasts may find interesting. Some costume makers like layering craft foam and glue, but others are discovering the flexibility of Hand-Moldable Thermoplastic. Just toss the beads into some warm water and you’ll have a wax-like substance for your costume needs. Have fun sculpting metallic looking historical belts, Stormtrooper outfits or home-made LED buttons. This also makes a nice sculpting material for everyday repairs, so it’s the gift that keeps on giving. This abstract art just shouts blue light, and it just so happens that our EL Wire Starter Pack is the perfect solution for getting that look. With clear thread you can use it to trim your holiday pieces or even add it to you backpack for that Tron look. It comes with a 2.5 meter strand of EL wire, Pocket EL Inverter, and a bit of copper tape, heat shrink tubing and foam tape to finish things off. If blue isn’t your hue, no worries, we’ve got plenty of colors available in these kits. Make crazy hats with team names, put your initial on a jacket or just make your bike safe at night. You are going to love all the uses for this glowy wire. 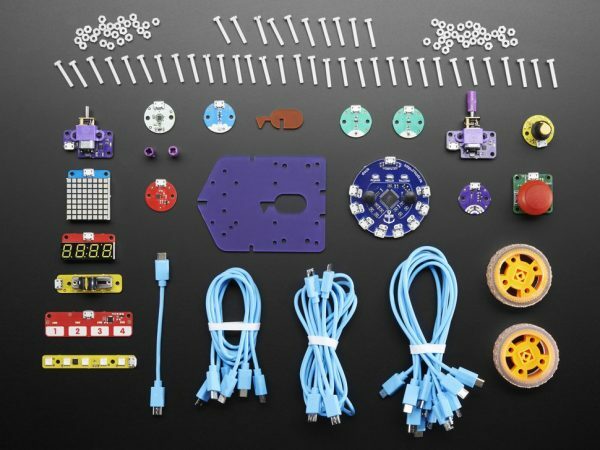 Flotilla Mega Treasure Chest Starter Kit: Flotilla is a range of smart, friendly, and affordable modules that you connect together to create amazing projects that can sense and react to the world around them. Brought to you by Pimoroni, the Flotilla Mega Treasure Chest Starter Kit is their ultimate Flotilla package. You’ll get fourteen Flotilla modules, three complete kits – the audibly offensive Noisemaker synth, a cute little paper-craft mood light, and an all-singing, all-dancing line-following robot – as well as eight other super-simple Cookbook recipes to get you up and running in two turns of a ship’s wheel — wow! 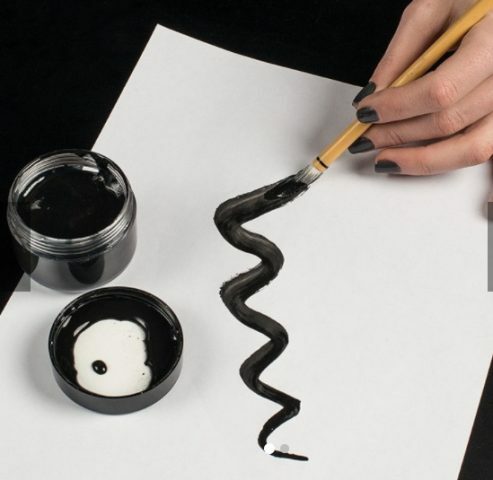 Bare Conductive Paint – 50mL: Bare Conductive Paint is a multipurpose electrically conductive material perfect for all of your DIY projects! Bare Paint is water based, nontoxic and dries at room temperature. Chibitronics Starter Kit: Make almost any surface glow, sense, or interact with Chibitronics circuit stickers! 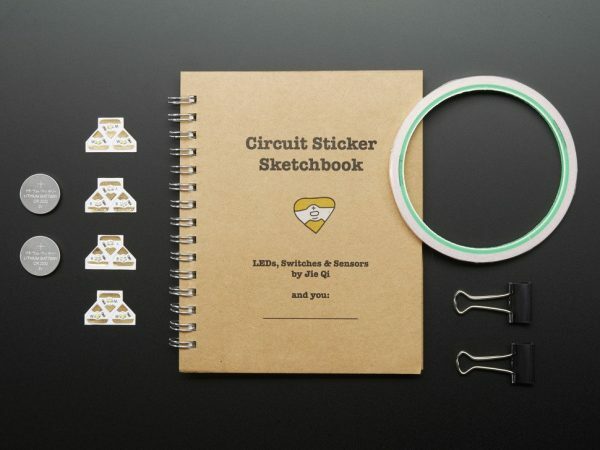 Circuit stickers are an imaginative and easy way to make fun electronics projects without coding, soldering, or maker experience. Just stick your circuit sticker onto a surface and add a battery to get a unique project that reps your maker spirit. 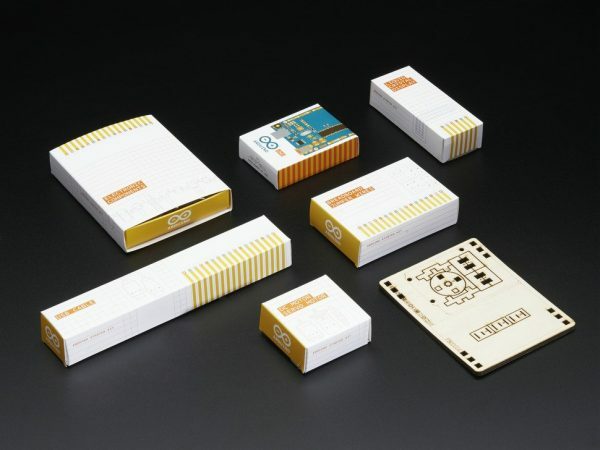 You can even connect stickers with conductive materials like copper tape or even conductive paint to create elaborate designs and art projects. 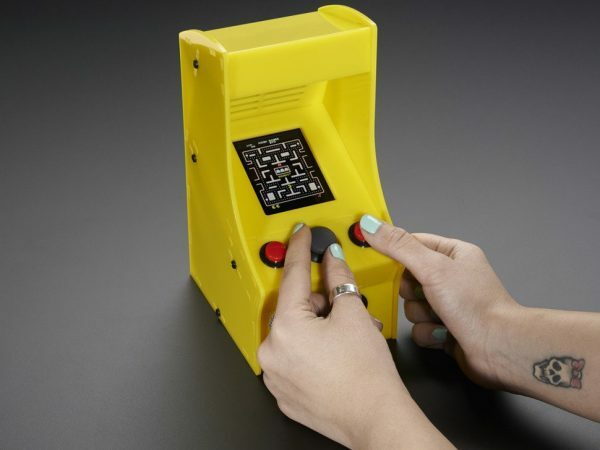 DIY Gamer Kit from Technology Will Save Us: Build your very own Arduino-based portable gaming toy with this kit from Tech Will Save Us! The DIY Gamer Kit is an Arduino controlled gaming device. Once you solder the whole thing together, you’ll have an 8×8 LED matrix display that serves as the device’s screen. From there, just easily upload your game’s code onto an Arduino (not included) and play! It’s a great learning experience with a fun result. 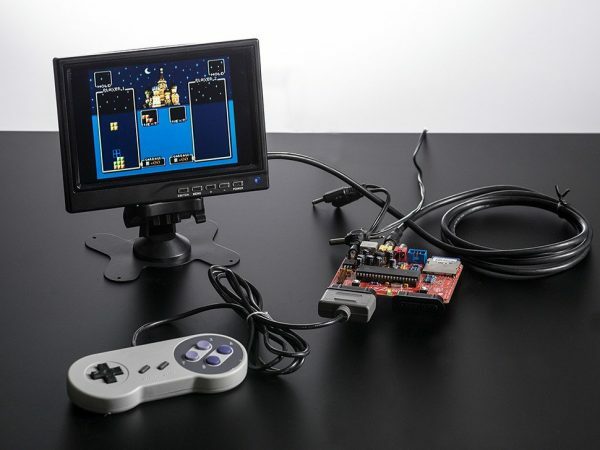 Uzebox Starter Kit – v1.0: The Uzebox is a fully open-source, DIY 8-bit game console. It is designed specifically for people who know a little bit of programming to expand into designing and creating their own video games and demos. A full-featured core runs in the background and does all the video and audio processing so that your code stays clean and easy to understand. Cupcade: the Raspberry Pi-Powered Micro Arcade Cabinet Kit – v1.0: Never be bored again with an adorable little arcade cabinet you can fit in your bag! This Raspberry Pi-powered kit combines our sharp PiTFT 2.8″ display, mini thumbstick, and mini arcade push buttons and a whole bunch of components to create the most adorable arcade cabinet in the known universe. 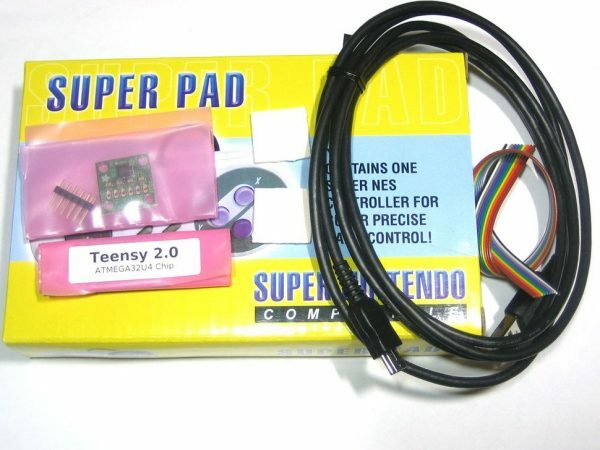 Comes as a big kit with lots of parts including all electronic components, the laser cut case, power adapter, and a blank SD card (you’ll need to burn the CupCade image on). You provide a Raspberry Pi model B, a soldering iron, solder, wire, basic electronic hand tools, tape, etc. New, as of June 6, 2014 – We now have a ‘release candidate’ kit which is easier to build than the Beta kit, with a snazzy custom controller PCB! This kit has a lot of steps, so its best for people who have soldered before and even better, have a little Raspberry Pi/Linux hacking under their belt in case some configuration-file-editing is required. Give yourself a nice, long Saturday afternoon to put together (about 4-6 hours altogether). 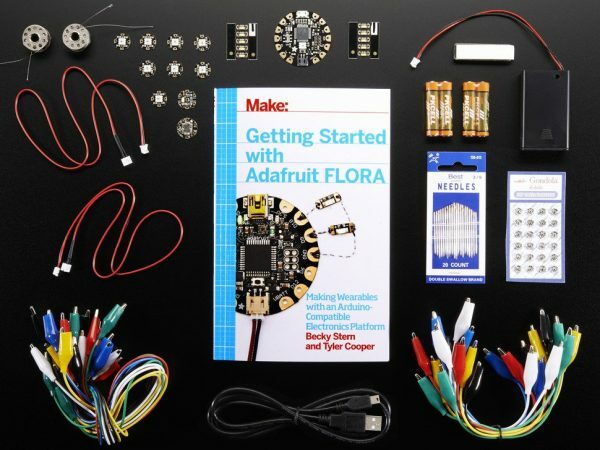 Getting Started with Adafruit FLORA Book Pack: Pickup a copy of Getting Started with Adafruit FLORA and then hit the ground running with everything that you need to become an Adafruit FLORA supreme being! This pack is perfect for somebody interested in the wide world of wearable electronics and Adafruit’s tiny FLORA board. This is the most beginner-friendly way to create wearable projects of your own. Using the book as your sensei and the products as your weapons, you’ll learn how to plan your wearable circuits, sew with electronics, and write programs that run on the FLORA to control the electronics. The FLORA family includes an assortment of sensors, as well as RGB LEDs that let you add lighting to your wearable projects! 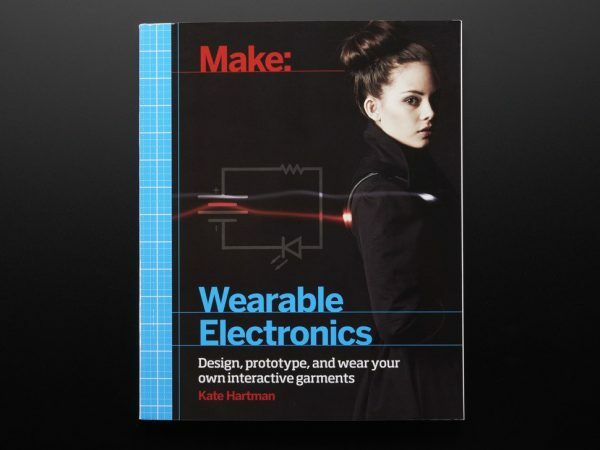 Make: Wearable Electronics by Kate Hartman: Combine fashion and high tech in your own workshop! What if your clothing could change color to complement your skin tone, respond to your racing heartbeat, or connect you with a loved one from afar? Welcome to the world of shoes that can dynamically shift your height, jackets that display when the next bus is coming, and neckties that can nudge your business partner from across the room. Whether it be for fashion, function, or human connectedness, wearable electronics can be used to design interactive systems that are intimate and engaging. If you are a rainbow lover, you are about to discover the best way to add vibrant colors to your projects using our GEMMA Sensor Starter Pack. GEMMA is our tiny stitchable microcontroller that allows you to program colorful NeoPixels, RGB LEDs that are also stitchable using conductive thread. You can create colorful circuits for wearables, or use solder/wire or conductive ink for other art projects. This kit really allows you to go interactive because it includes a variety of gadgets—sensors like vibration and light, a piezo buzzer and a tactile switch. Everything you need to get started is included, right down to the alligator clips. Get ready for a wild holiday of color! 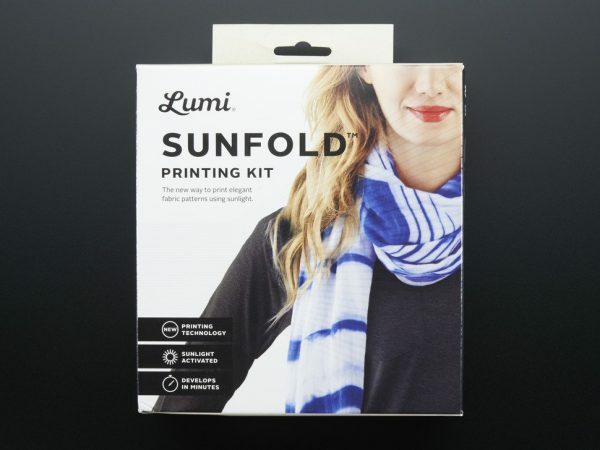 Lumi Sunfold Printing Kit: With the Lumi Sunfold Printing Kit, you can print patterns onto fabric using the power of sunlight. The kit uses Inkodye – Lumi’s own photo-sensitive dye that develops its color once exposed to sunlight or other UV lights. It’s an easy way to experiment with dying and textile printing without the need for a special ink curing lamp. This kit is a great alternative to tie-dying and has complete instructions on how to print a pattern directly onto a t-shirt or any type of textile. This kit is great for groups of people – making it the ideal day-time party activity for the fashionable and creative. It makes at least sixteen prints but you can also dilute Inkodye with up to 10 parts water to extend its power and create fun shades. While the kit comes with instructions, there’s also a step-by-step guide on the Lumi site. 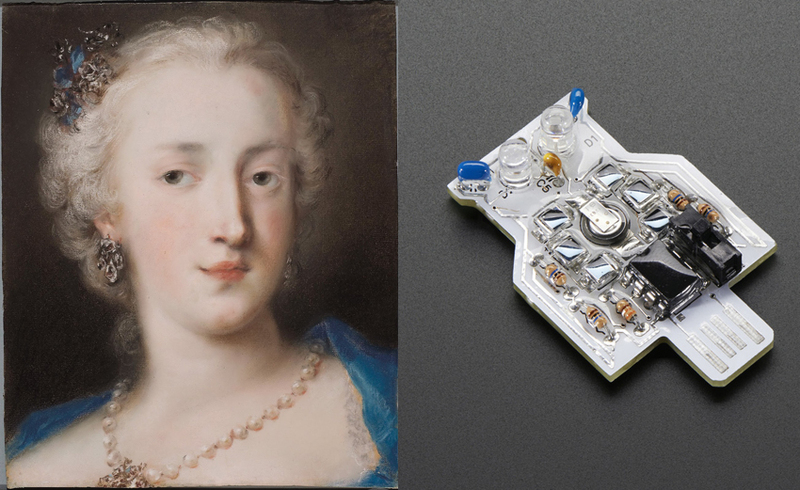 This Portrait of a Woman by Rosalba Carriera shows details of jewelry that makes this time period stunning. Nature inspired curves of metal mixed with pearls and ribbons are perfect for this woman, but what about the women of today? Nature is still inspiring adornment and the brother and sister duo at Lumen have designed this Solar Powered Owl Blinky Pendant Kit that hits all the marks. Electronics are beautiful and their pieces of art take advantage of form and function, with the magic of solar power lighting up the LED eyes of this creature. This kit is best for people with previous soldering experience, but you can also volunteer to solder it for someone you love. We’re excited for the Holiday Season here at Adafruit, and we can’t wait to share that excitement with you! Stay tuned into the blog where you will find new, handpicked gift guides five days a week from November 7 through December 23rd, 2016 alongside holiday themed tutorials and builds! Our ONE FREE LIMITED EDITION ENAMEL PIN for orders $99 or more is on temporary hiatus. We’re working hard to get more of our fun enamel pins back in stock soon. ONE FREE ADAFRUIT FEATHER 32U4 BASIC PRO for orders $150 or more. Some restrictions apply and while supplies last! FREE UPS ground (Continental USA) for orders $200 or more. Some restrictions apply. Here are your 2016 shipping deadlines for ordering from Adafruit. Please review our shipping section if you have specific questions on how and where we ship worldwide for this holiday season. Sunday, Dec. 25, 2016, Christmas, no UPS or USPS pickup or delivery service. Monday, Dec. 26, 2016, no UPS or USPS pickup or delivery service. Monday, Jan. 2, 2017, no UPS or USPS pickup or delivery service. UPS ground: Place orders by Friday 11am ET – December 9, 2016 – There is no guarantee that UPS Ground packages will arrive by December 23. UPS 3-day: Place orders by Thursday 11am ET – December 15, 2016 – Arrive by 12/23/2016. UPS 2-day: Place orders by Friday 11am ET – December 16, 2016 – Arrive by 12/23/2016. UPS overnight: Place orders by Monday 11am ET – December 19, 2016 – Arrive by 12/23/2016. United States Postal Service, First Class and Priority: Place orders by Friday– December 9, 2016 – Arrive by 12/23/2016 or sooner. USPS First class mail international: Place orders by Friday – November 18, 2016. Can take up to 30 days or more with worldwide delays and customs. Should arrive by 12/23/2016 or sooner, but not a trackable service and cannot be guaranteed to arrive by 12/23/2016. USPS Express mail international: Place orders by Friday – December 2, 2016. Can take up to 15 days or more with worldwide delays and customs. Should arrive by 12/23/2016 or sooner. UPS WORLDWIDE EXPRESS, UPS WORLDWIDE EXPEDITED and UPS EXPRESS SAVER (UPS International orders): Place orders by Friday 11am ET – December 9, 2016 – There is no guarantee that international packages will arrive by December 23 2016.